Great shopping for a great cause! 100% of the profit goes to House of Dreams No-Kill Cat Shelter. Stephanie Hatch donated a limited number of her “Psychedelic Cat” prints to this fundraiser. Arrive early to make sure you’re able to snag one! 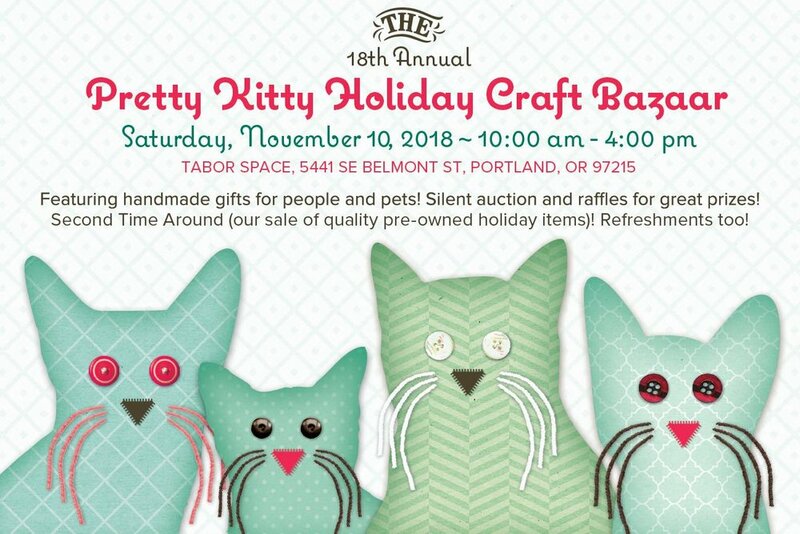 This is House of Dreams’ biggest fundraiser of the year featuring handmade gifts for pets and people, a fantastic silent auction, a photo booth and raffles for great prizes!! They also have a Second Time Around sale of great quality pre-owned holiday items. There will be hot apple cider, coffee, tea and lots of refreshments! The silent auction closes at 2 pm and the raffle closes at 3 pm. There will be DOOR PRIZES this year too! Invite your friends and relatives to join the fun!